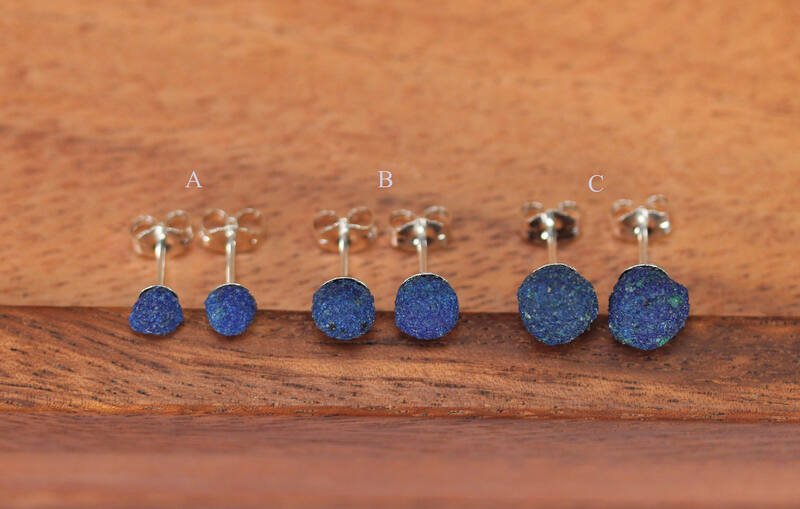 A cute set of genuine azurite blueberries set onto sterling silver posts and butterfly backings! These beauties come in an array of sizes. Please choose your favorite pair as shown in the third and fourth photos. 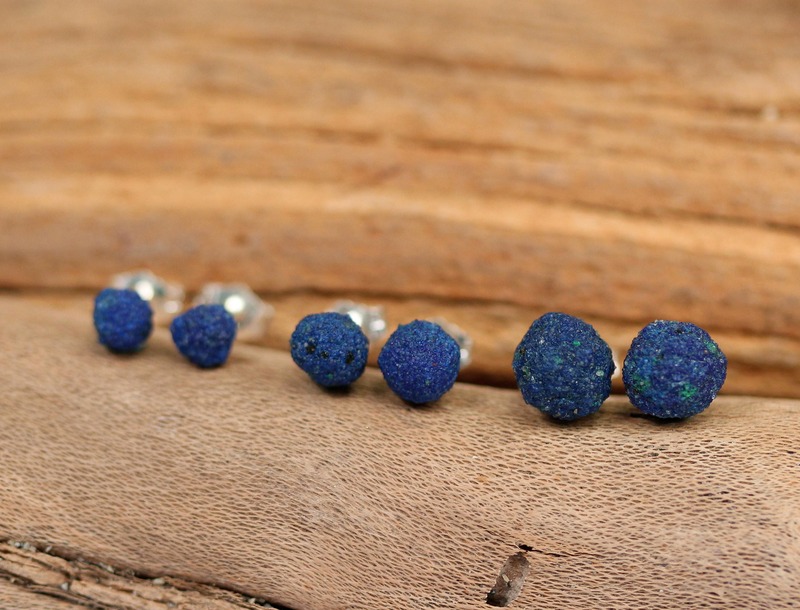 ♥ Need a few reasons to love azurite other than for its beauty? No crystal embodies the pure Blue Ray quite like Azurite. The rich vibrancy of its dark-blue energy resonates to the exact frequency of the Third-Eye Chakra, and has been guiding souls to clearing away tension and confusion, and opening the mind to new perspectives. This crystal stimulates the intellect, awakening the development of psychic and intuitive abilities, and brings inner vision into alignment with spiritual guidance. It may be used for the enhancement of dreams, entering a meditative or channeling state, and enables out of body journeys to take place safely. 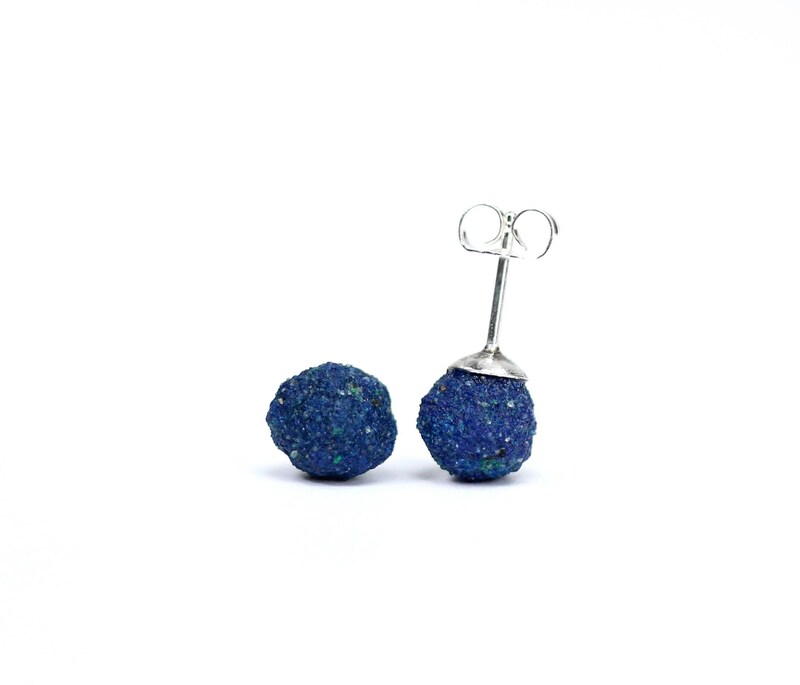 Azurite is beneficial in exploring past or alternate lives, enlightenment since the earliest civilizations began.